The Level 2 Diploma in Electrical installations is the industry recognised route to get on your way to becoming a fully qualified electrician making you eligible to work in the domestic, commercial and industrial sectors. 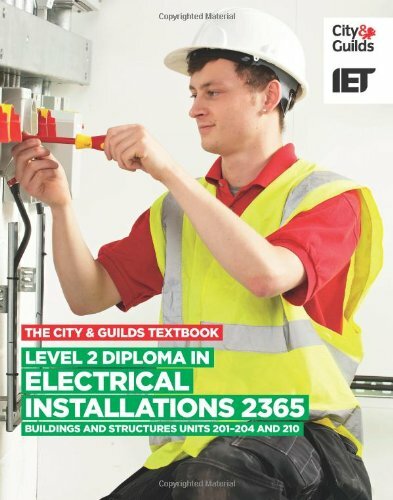 The City & Guilds 2365 Level 2 Course covers all of the essential electrical installation skills, knowledge of electrical science and electrical principles to be confident in working within the electrical industry. WHY TAKE THIS TRAINING COURSE?? Install wiring systems and enclosures including: socket outlets and other power circuits, lighting circuits, alternative wiring system (single and twin and earth PVC cables), installing and fabrication of PVC and Steel trunking and conduit, cable tray and steel wire armoured cable. Safe isolation and basic pre energised inspection and testing. On completion of this course, you will be eligible to work within the industry under the supervision of a qualified electrician and have the relevant knowledge and practical skills to progress on to the level 3 qualification. There are 2 options for this course, Full Time and Part Time. This course will run over 10 weeks full time (Mon - Fri, 9am - 5pm) in alternate two weekly blocks (18 weeks actual time) and will be classroom/centre based. Our part time course runs every weekend for 22 weeks, both Saturday and Sunday. These are full days 9.30am - 4.30pm. We have decided on these sessions and training approach to allow you to gain all the necessary knowledge from the sessions at the centre and then encourage you to 'digest' this information and study further at home for each unit. During these in-centre sessions we will cover all of the above aspects thoroughly as well as preparing you for the examinations and assessments for each unit. To gain the City and Guilds qualification, you will be required to complete a number of assessments which consists of online examinations, practical assessments and written question assignments. To help you prepare for these assessments, you will be working through the course books and be provided with the necessary work pack, notes, hand-outs, examples of test questions, as well as timed mock tests and ample time and opportunities to practise and complete the practical elements. We feel this approach will help provide you with the opportunity to become fully conversant and confident with both the theoretical and practical elements of the course, giving you the optimum opportunity to perform at the required level in the assessments. Is available for those who prefer not to pay the full course fee in one payment. For further information on our interest free instalments scheme or our availability of upcoming course dates, please contact us on 0121 5533665 or message us by clicking the button below. Payment plans are available for those who prefer not to pay the full course fee in one payment. For further information on our interest free installment scheme please contact us on 0800 037 1572.